Range of spindle speeds: 15 to 300 R.P.M. A lathe is a tool that rotates the workpiece about an axis of rotation to perform various operations such as cutting, sanding, knurling, drilling, deformation, facing, and turning, with tools that are applied to the workpiece to create an object with symmetry about that axis. 2 Nos. TWINTURN XL, Extra Heavy Duty Double Spindle CNC Turning Centres with Single Six Axis Robot. Advantages of this machine includes two Double Machines (Total 4 Nos. Spindles) tended by one Robot, huge Saving in Space compared to four single Spindle machines. We supply heavy duty CNC and conventional flat bed/slant bed lathes, which have high accuracy and high productivity. 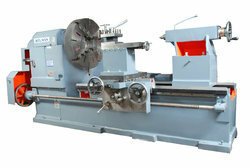 We have sold a large number of CNC heavy duty lathes to our customers in India. Our principal also manufactures Lathe for Valves machining with drilling / tapping / milling attachments. We offer heavy duty lathe machines, which are designed for bulk production. 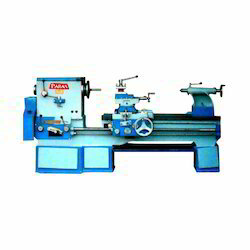 Our lathe machines combine all those features that are expected in heavy duty production lathes.